This is a beautiful lapis lazuli and sterling silver WWJD Bracelet. 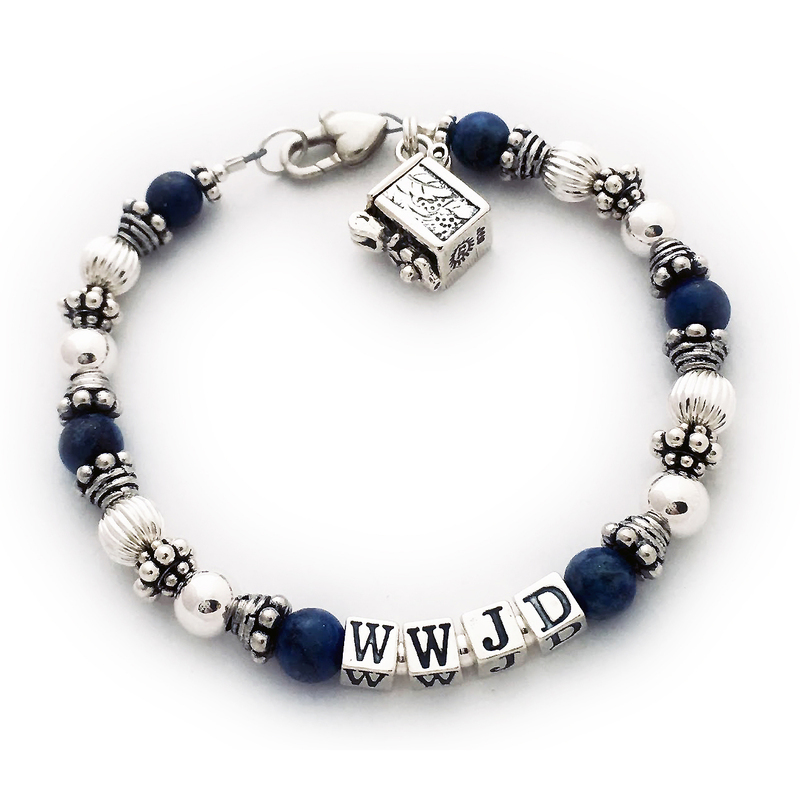 It is made with 4.5mm .925 sterling silver alphabet block letters WWJD, 5-6mm blue lapis lazuli beads, .925 sterling silver 6mm smooth and corrugated round beads and a sterling silver lobster claw clasp (you choose the clasp during the ordering process). This bracelet is shown with an upgraded Heart Lobster claw clasp. A beautiful sterling silver lobster or toggle is included in the price but I have lots of clasps to pick from so choose your favorite. You may add charms to this or any of my bracelets. 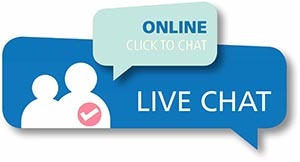 They added a sterling silver Prayer Box or Blessing Blox charm. It is hinged so you can open it up and put a tiny prayer inside or whisper a prayer inside. A 7" bracelet is shown. See more pictures below. 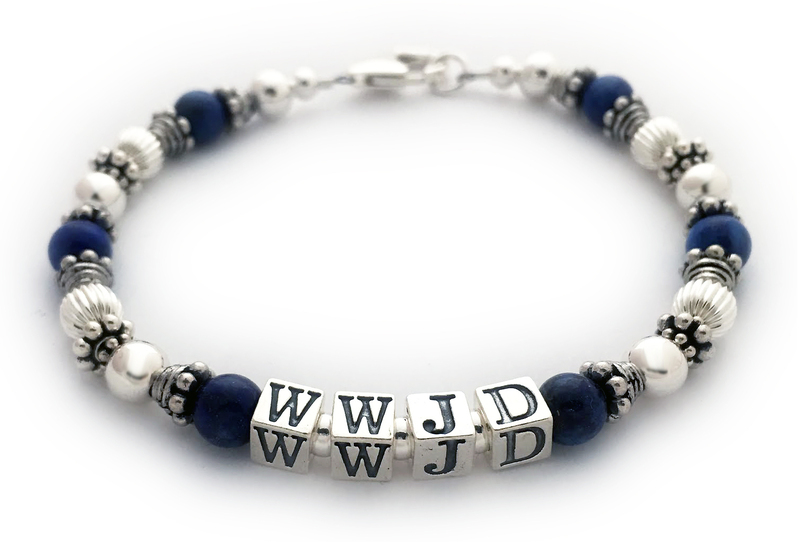 Lapis Lazuli What Would Jesus Do Bracelet - Shown with a lobster claw clasp, 5.5mm block letters and no charms. Size: 8 1/4"